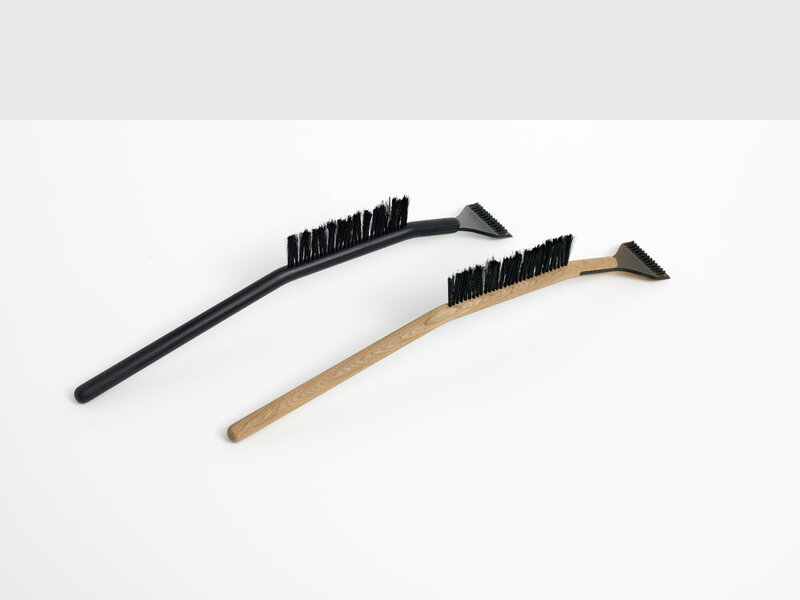 Traditional household cleaning tools – a corn broom, a cotton mop and a feather duster – are upgraded with extraordinarily lightweight and durable carbon fiber handles. Contrasting with the typical, natural materials associated with these tools, the highly engineered synthetic carbon fiber hints at the potential for enhanced performance. However, users might be disappointed (or perhaps relieved) to find these tools to be quite ordinary to use. 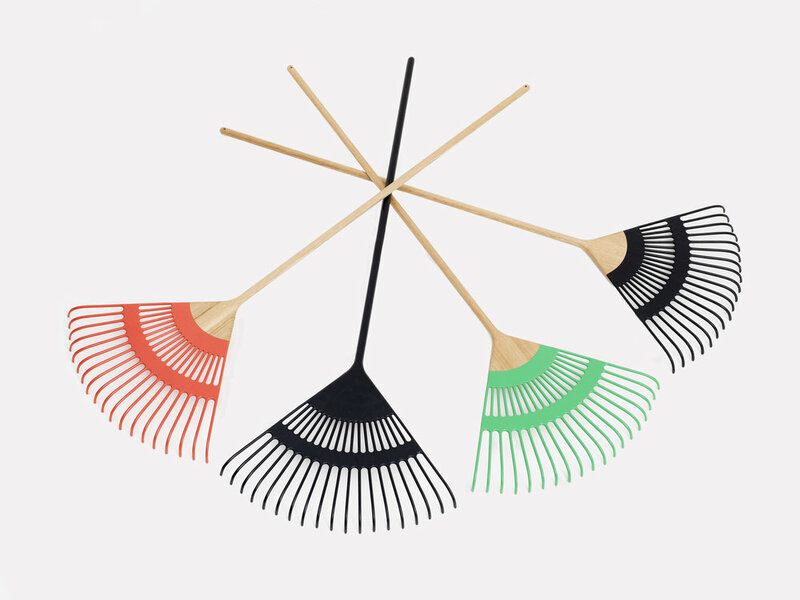 The Handy Shovel offers familiar utility in a familiar package. Following in the reliable pattern of common mass-produced models, the iconic qualities of a snow shovel are preserved while the details and form are refined, encouraging pride in one’s work, appreciation for the tool and the potential to experience beauty while shoveling snow. Christopher Specce is a product and furniture designer whose approach examines how production, materials, and utility mediate the status of objects in culture. His work aspires to be at once mundane, delightful, modest, and forthright. Based in Providence, Rhode Island, he is an Assistant Professor in the Department of Furniture Design at Rhode Island School of Design.